The data was added on ,	11 August 2018 read 170 times. Iran’s Foreign Minister Mohammad Javad Zarif has rejected media reports of a possible meeting between Iranian and American officials on the sidelines of the upcoming UN General Assembly meeting. 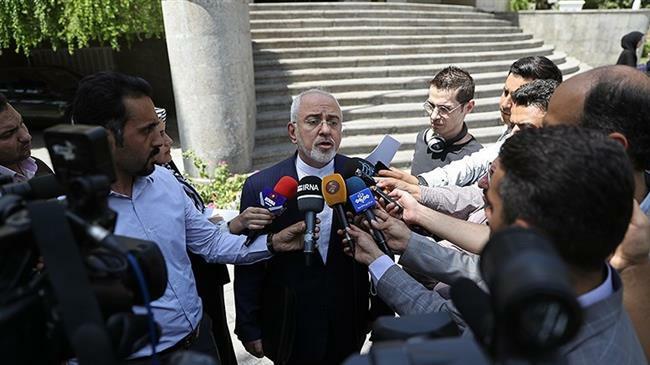 Asked about the likelihood of such an encounter in New York, Zarif told Iran’s Tasnim news agency on Saturday that there would be no meeting. “No. No meeting is expected to take place,” he said. Elsewhere in his Saturday comments, Zarif stressed that Iran had already declared its position on Trump’s recent offer of talks. “The Americans are not honest. In addition, they are grappling with an addiction, their addiction to sanction will not allow talks,” he said, adding that Oman had transferred no message from the Americans to the Iranians. “What expectations could you have from a person who pulls out from international engagement and now says let’s hold talks,” he noted.